On Sunday afternoons, after church, we often go over to my parent’s house for lunch. I always try to bring something to share, to help with the meal. 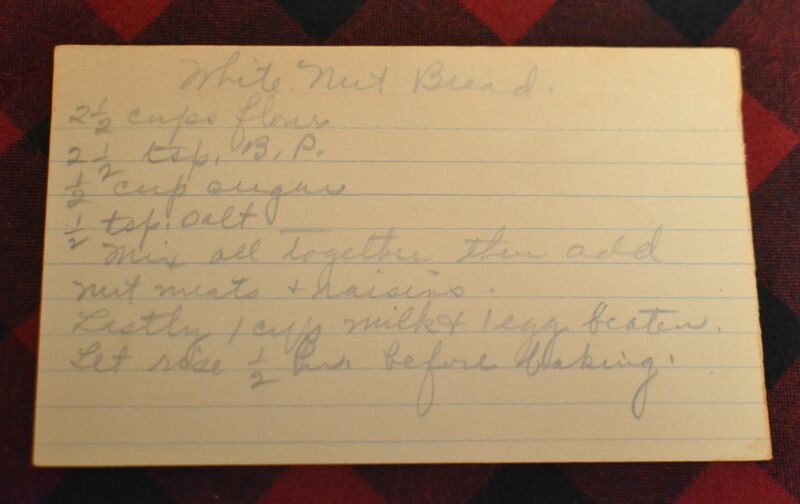 I found a recipe in my Grandma Dora’s recipe box for White Nut Bread. I decided to make it because it seemed like a simple, easy recipe and something we could all enjoy with lunch. When we got to my parent’s house on Sunday, I set the bread on the kitchen counter and began to help get the meal going and on the table. 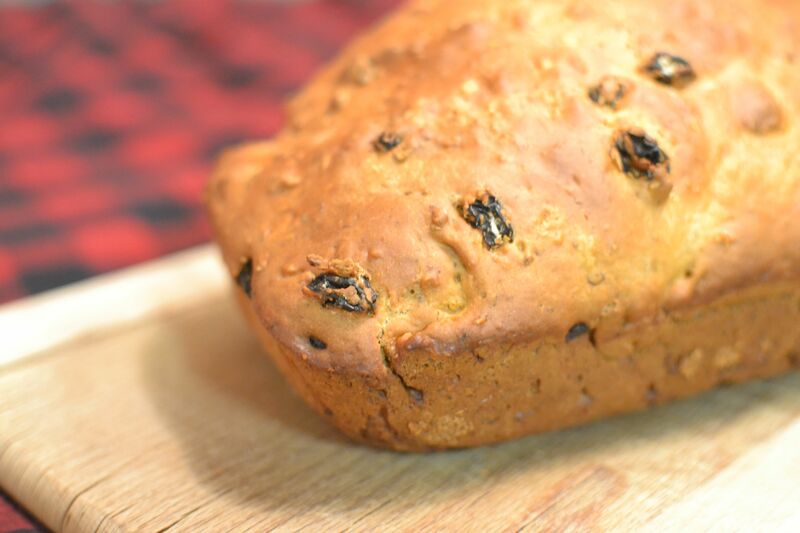 As my dad looked at the loaf of bread I had set down, he said, “I remember that my mom used to make a nut and raisin bread that kind of looked like that. She made it a lot and I always liked it.” He didn’t know that I had actually found and made her recipe. I said, “This IS your mom’s recipe! I got it from her recipe box! 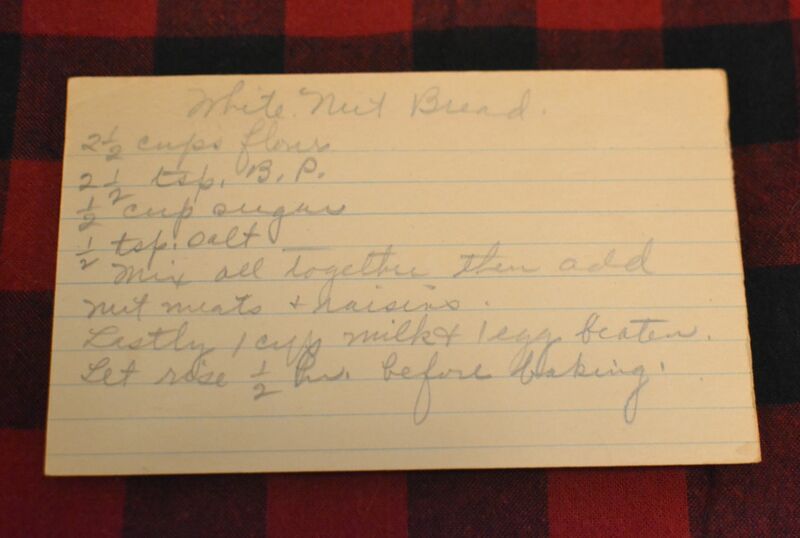 This is her recipe for White Nut Bread!” I was so pleased that what I had made looked like and reminded him of Grandma Dora’s! He said it was really good and tasted the way he remembered it! 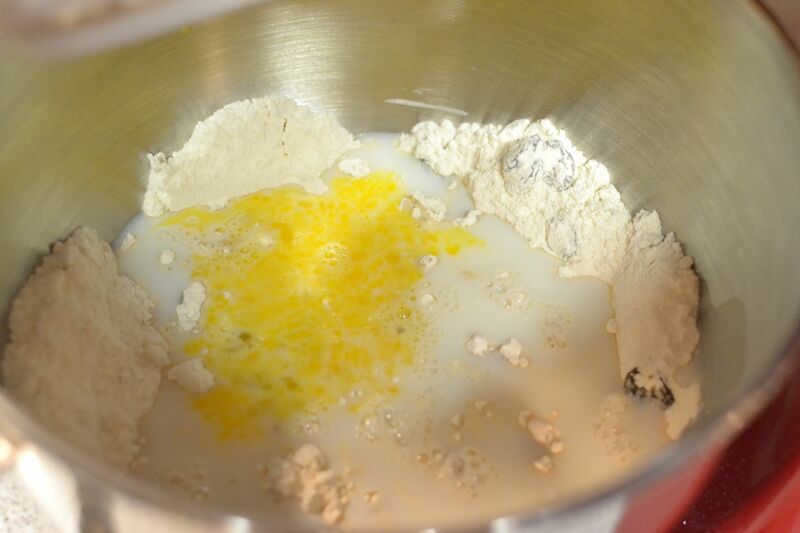 Mix together all dry ingredients. Add nut meats and raisins. Mix in milk and the beaten egg. 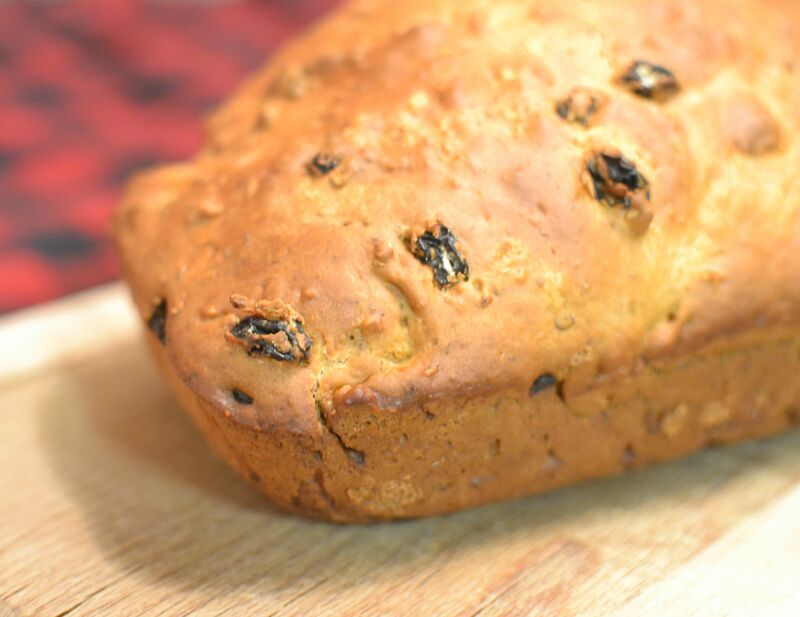 Put batter into a greased loaf pan. Let rise 1/2 hour. Bake at 350 degrees for 45-50 minutes or until an inserted toothpick comes out clean. 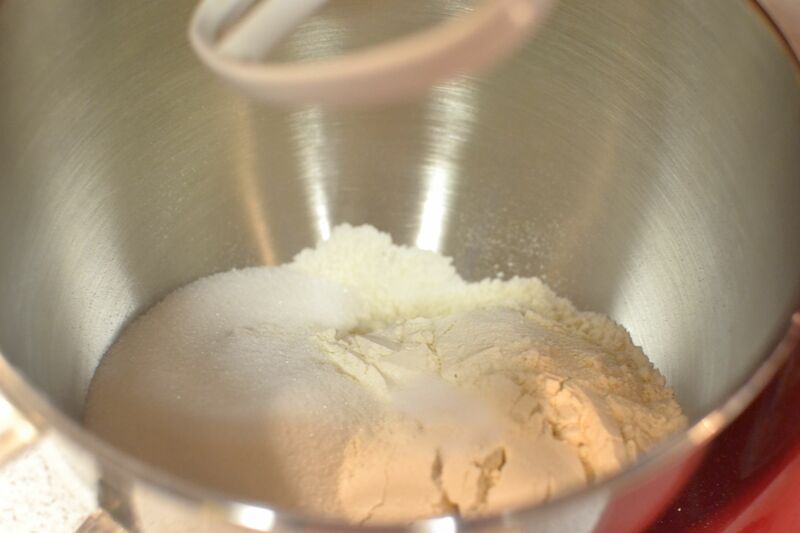 I began by mixing together the dry ingredients. 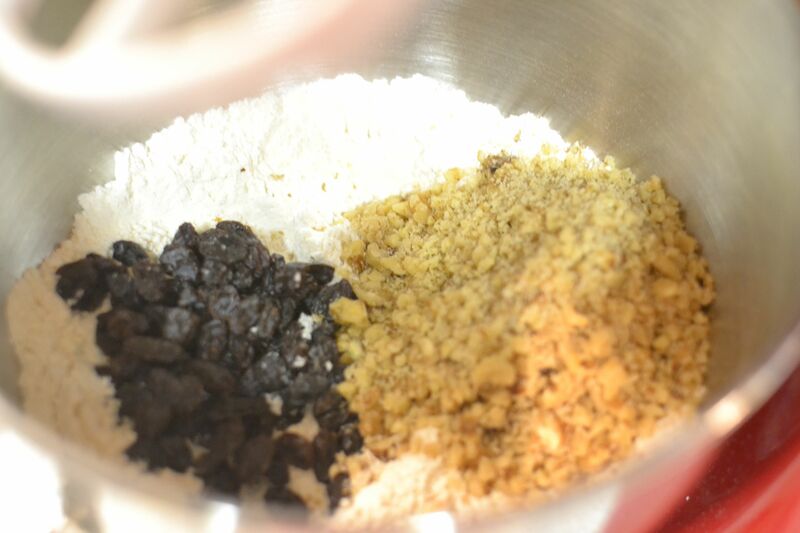 Then, after chopping up the nuts (I used walnuts) I added them to the dry ingredients with the raisins. I actually used a full cup of chopped walnuts. 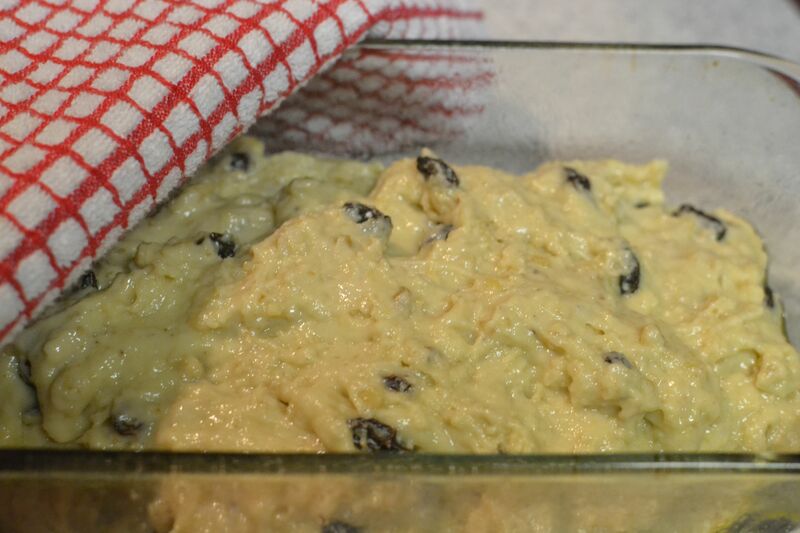 Once the nuts and raisins were mixed in, I added and blended in the milk and beaten egg. I poured the batter, which was very thick, into a greased loaf pan. I covered it and let it rise for 30 minutes before putting it into my preheated oven. 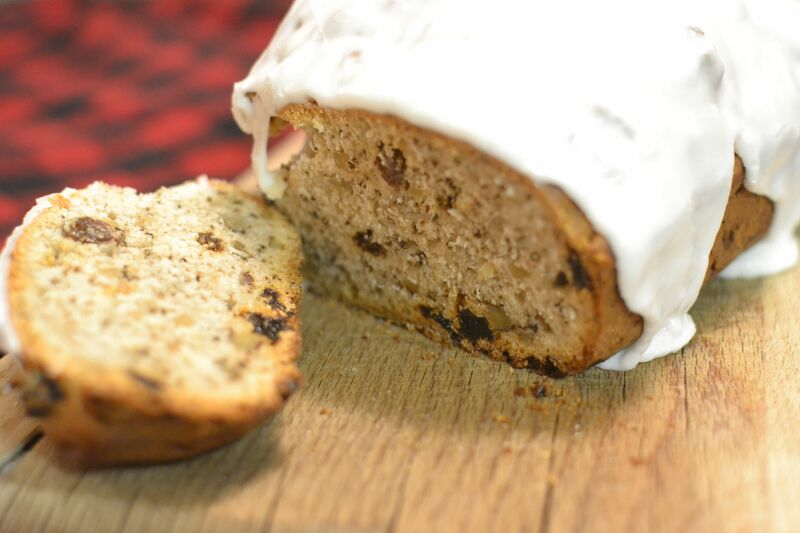 I baked the White Nut bread for about 50 minutes. It was a beautiful golden brown loaf. 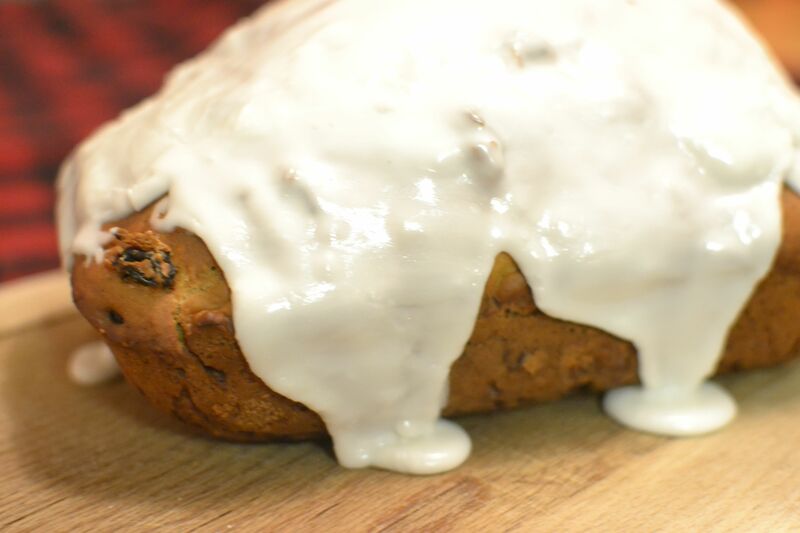 This recipe has very little sugar in it, only a half cup, so because I didn’t think the bread itself would be very sweet, I decided to add some frosting!! I made a thick glaze of powdered sugar and milk and put it on the loaf while it was still slightly warm. 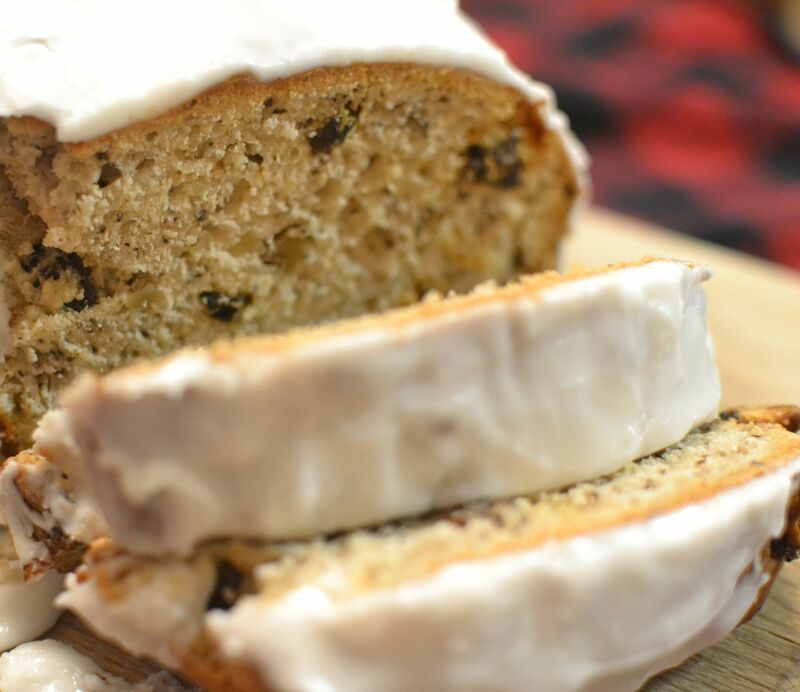 Nothing makes a loaf of bread better than thick frosting! The bread had a nice, chewy outside and a delicious, soft inside! 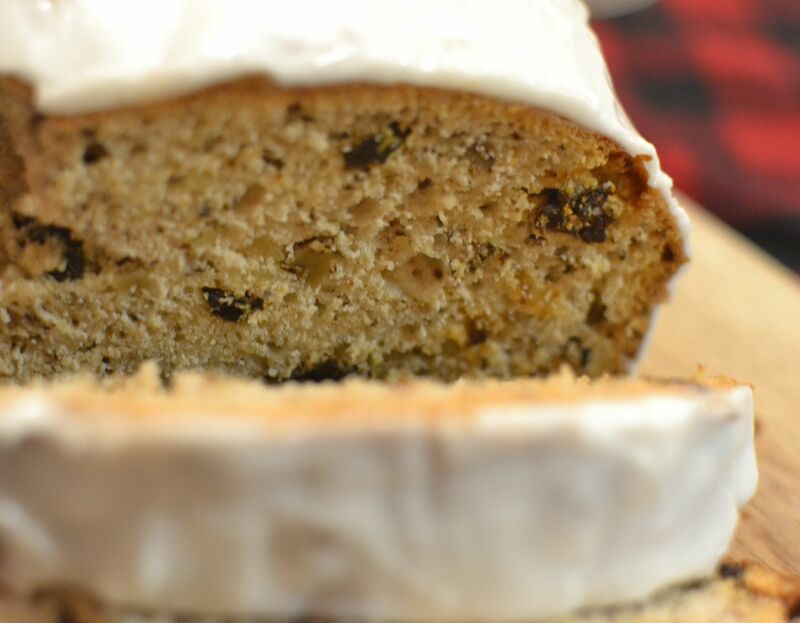 The sweet raisins and frosting were a nice compliment to the nutty flavor of the walnuts. My family really enjoyed the White Nut Bread along with our Sunday lunch. I was glad I had made it and that it turned out to be such a delicious recipe, one that reminded my dad of his childhood! 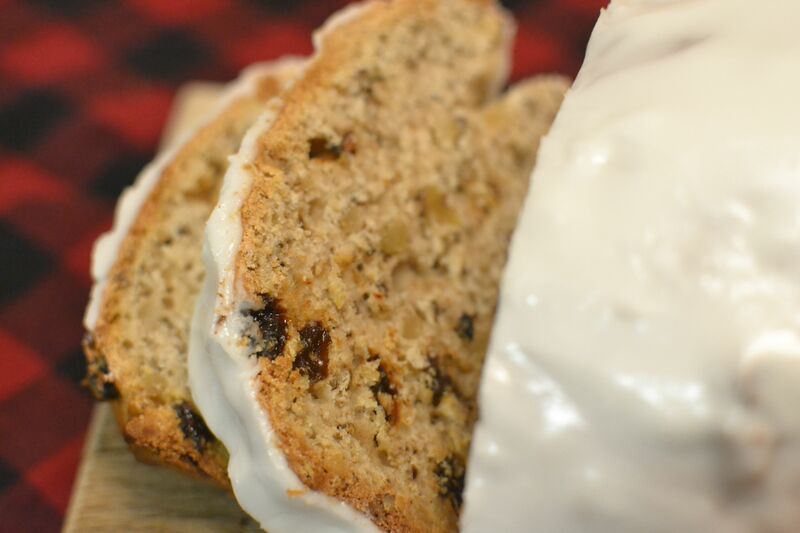 This entry was posted in Breads, Breakfast, Side Dishes, Snacks and tagged baking, Bread, farm cooking, grandma's cooking, homemade, Raisins, scratch cooking, walnuts by GrandmothersRecipeBox. Bookmark the permalink.